Choosing a fly reel is even more fun than selecting a rod because beauty and tradition carry as much weight as raw performance for most freshwater fishing applications. 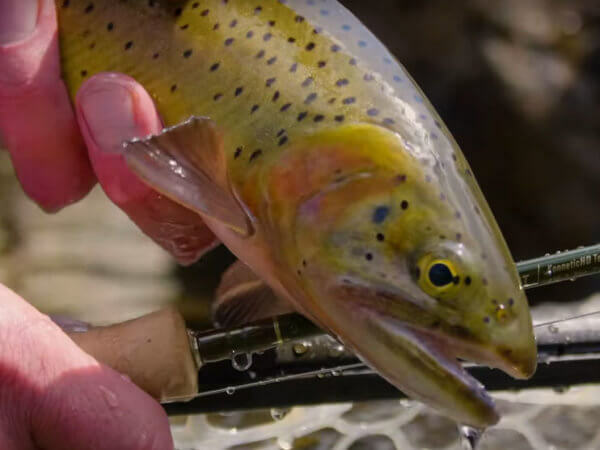 A trout reel that is merely functional can’t compete with one that speaks to your soul every time you notch it in the reel seat of your favorite fly rod. With the array of spectacular designs and stunning colors offered from our top manufacturers, there is a reel for each of our rods that would make us smile just a little more. The choice of saltwater reels compels us to examine the track record of the manufacturer. Not all saltwater reels are created equal. In the demanding and unforgiving environment of saltwater fly fishing, fast line retrieve and consistent drag performance are real advantages for the angler, not cosmetic ones. Durability is also a huge issue, as the forces of salt, sand and friction are constantly at work to compromise your equipment. Telluride Angler carries only the finest brands of saltwater reels: Abel, Hatch, Nautilus, Ross, Lamson, Sage and Galvan.